Months of speculation ended today after Volvo Cars unveiled its all-new Volvo XC90, delivering on its promise to introduce a visually striking, seven-seat luxury SUV with world leading safety features, advanced powertrain technologies, an unrivalled combination of power and fuel efficiency and a superlative interior finish. Three years in the making and part of an $11 billion investment program, the all-new XC90 marks the beginning of a new chapter in Volvo’s history, capturing its future design direction, incorporating its own range of new technologies and utilizing its new Scalable Product Architecture (SPA) technology. Symbolizing this historic day in Volvo’s 87 year history, the new XC90 will be the first of its cars to carry the company’s new more prominent iron mark logo, which has the iconic arrow elegantly aligned with the diagonal slash across the grille. Together with the T-shaped “Thor’s Hammer” LED daytime running lights, the iron mark introduces an entirely new, distinctive and confident face for Volvo’s forthcoming generation of cars. 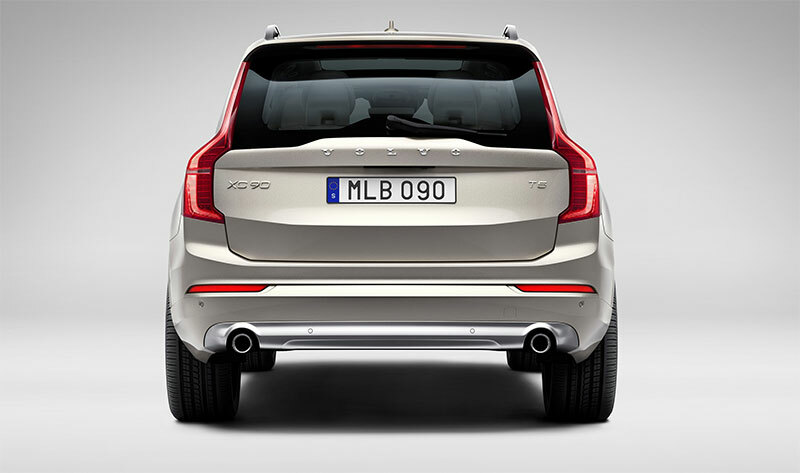 The XC90’s larger hood with its new topography, the beltline and the sharpened shoulders connecting with the tattoo-like, new rear lights are other important design signatures that will be mirrored across the range. 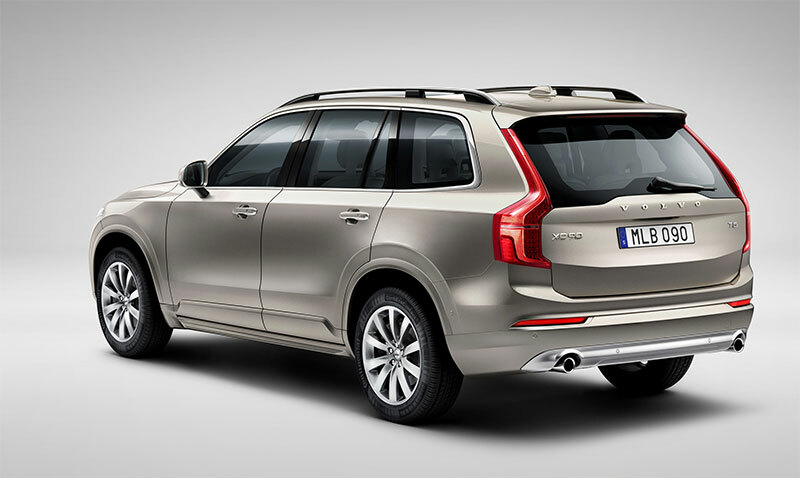 The XC90 is firm evidence of the “designed by Volvo for Volvo and its customers” strategy. Its outstanding combination of luxury, space, versatility, efficiency and safety will bring the luxury SUV segment into a new dimension, just as the original XC90 achieved in 2002. The all-new XC90 offers 316 hp, 2 liter turbocharged and supercharged AWD engine, which provides an outstanding combination of performance and fuel-efficiency. The top of the range XC90 Twin Engine plug-in hybrid, which combines a two-liter, four-cylinder supercharged and turbocharged petrol engine with an electric motor, offers an unrivalled combination of power and clean operation: around 400 horsepower with carbon dioxide (CO2) emissions of around 60 g/km (NEDC driving cycle). This will be the world’s first 7-seat plug-in hybrid. The XC90 is the first car in the world with technology that features automatic braking if the Volvo driver starts to turn in front of an oncoming car that is going quicker than expected. This is a common scenario at busy city crossings as well as on highways, where the speed limits are higher. The XC90’s interior is the epitome of Scandinavian luxury. The most striking feature is a tablet-like touch screen control console, which forms the heart of an all-new in-car control system. This system is virtually button free and represents an entirely new way for drivers to control their car and access a range of Internet-based products and services. It also helps create an interior that is modern, spacious and uncluttered. “The new interior is pure and uncluttered, while still radiating the sophisticated confidence and formality that luxury SUV customers expect. The simplicity is perfectly in tune with our Scandinavian design heritage. It opens up generous surfaces and gives us the opportunity to create a modern, luxurious interior architecture,” said Mr Ingenlath. The genuine seven seater features new, innovatively designed seats that also free up interior space for passengers both in the second and third seat rows. The third row seats were designed to accommodate passengers in class-leading comfort up to 5’7” inches tall. The Urban Luxury package combines a color coordinated body kit with polished stainless steel details, such as front deco frames, front and rear skid plates and side scuff plates. The 21-inch exclusive polished wheels complete the elegant look. Full details on the pricing will be announced at a later date, but a well-equipped XC90 T6 AWD will have a starting price of $48,900. The XC90 T6 AWD will come standard with such luxurious features as Navigation, 19” wheels, a power laminated panoramic sunroof, state-of-the-art car connectivity and is expected to deliver best-in-class power and fuel efficiency.